You like to think and plan for the future. We have fully upgradeable systems available to help maximise your investment in your security and/or camera systems. We offer a free security evaluation, with planning and quotations tailored to your requirement. 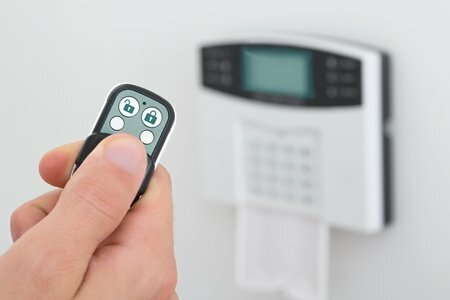 alarm monitoring companies,home security alarm systems,best wireless alarm system,best home alarm,wired alarm system Whatever your budget, we can help select the right security solution for your home or business. When something goes wrong, you want urgent assistance. 24Monitoring is right there with you 24 hours a day, 7 days a week, every day of the year with real person support every time. Every planned maintenance or service attendance includes our ten point audit – our positive prevention program. Australian Standards recommend a service/preventative maintenance visit as a minimum every 12 months. We set the standard for home and business security alarms in Australia. best security camera system australia,wireless security camera system, 24Monitoring is a locally based specialist security solutions provider and a 100% Australian owned family business. We are licensed and regulated as a security firm by the Queensland Government and a Corporate Member of the Australian Security Industry Association Ltd. Our experienced team of security officers operate from our company owned and purpose built security control room operating 24/7 every day of the year. Whatever your need and budget whether it’s a new security alarm system, video verification alarm systems, a new IP camera solution, an NBN upgrade, a switch from an existing provider, service and/or repair we do it all – a one stop shop for all of your security! 24Monitoring is a locally based specialist security solutions provider and a 100% Australian owned family business. We are licensed and regulated as a security firm by the Queensland Government and a Corporate Member of the Australian Security Industry Association Ltd. Our experienced team of security officers operate from our company owned and purpose built security control room operating 24/7 every day of the year. Whatever your need and budget whether it’s a new security alarm system, video verification alarm systems, a new IP camera solution, an NBN upgrade, a switch from an existing provider, service and/or repair we do it all – a one stop shop for all of your security!